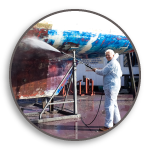 With 70+ years of experience, we are experts in the bottom painting of virtually any type of vessel. Some marinas will quote flat rates but we choose to quote the job. There are many variables involved but a typical job is 20% less than other local marinas. The variables include paint type and color, preparation work, growth on the hall and running gear, etc. There is no substitute for quality and experience. Call today for information and scheduling. 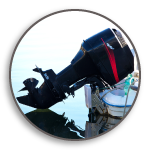 Our mechanics are ready and waiting to assist you when your vessel needs maintenance. Whether it be powered by gas or diesel fuel, we offer a full range of mechanic services. 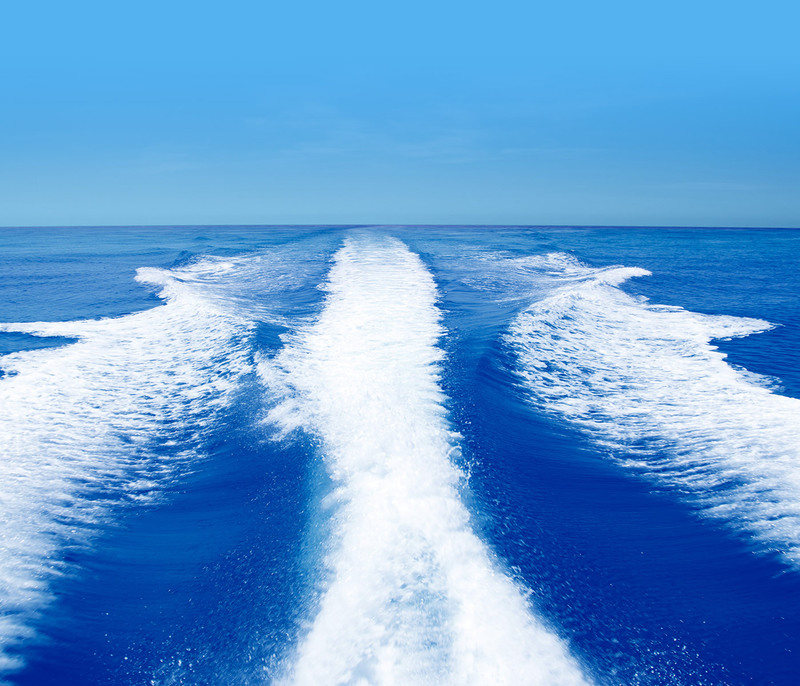 You can count on us to keep your boat running smoothly, so relax and enjoy the water, knowing that we keep your vessel at top performance! Call today for more information. 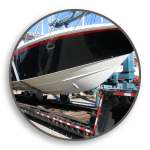 Westland Marina's facility has two sling travel-lifts capable of hauling out boats up to 65 feet and 90,000 pounds. Only very experienced personnel perform the lifts. 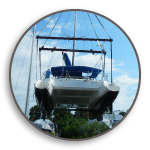 Unlike many marinas, we haul out and relaunch when your schedule dictates, not when we "get around to it". Good quality customer service is our first priority. Please call today for pricing information and scheduling. We are one of the last DIY yards in Florida. We don't require you to purchase any supplies through the marina, but we do offer some of the most competitive pricing and free next day delivery. 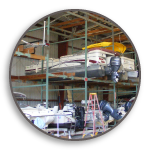 Westland Marina is an excellent choice for hurricane season storage. We have minimal, if any, surge and no tides. Boats can be anchored and strapped in the yard. Masts are not required to be down. You can even stay on your boat while preparing for storage or cruising season. We offer car/truck storage for our seasonal customers. 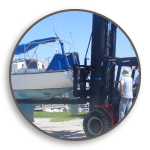 Westland Marina has a 15 ton forktruck capable of lifting boats up to 28' and stepping or unstepping most masts.